At All Business Technologies, we will grow your online presence by giving your business the exposure it deserves to become an online authority. Each business will get a custom plan geared towards growing your revenues and taking your landscaping company to the top. Google has become today’s word of mouth referral system. What better way to build instant trust with potential customers than when they turn to the worlds largest and most trusted company to find services just like yours. What Can Our Landscaping SEO Experts offer? 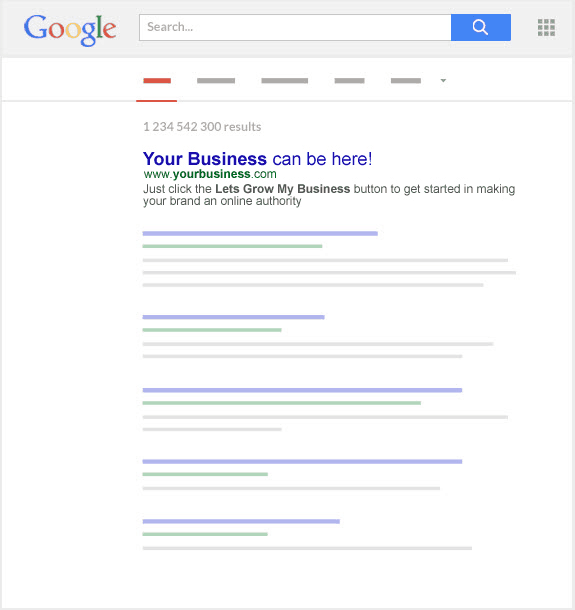 Give your company the exposure you have always wanted by dominating your competition on the first page of Google. Our SEO services help drive more customers to your website, and your services than any other marketing strategy. Take your business to the top as your company grows with inquiries from customers who are needing your services. We are here to help you so whether you have a question, a problem to resolve or in need of an update we are just a phone call or email away. We send monthly reports with rankings updates and noteworthy news, to make clients aware of any changes. There is no outsourcing, black hat tactics, or cutting corners. All work is performed in-house by our highly trained team. We can help you stop losing customers to your competition, We have successfully ranked for difficult search terms. We are among the elite at what we do, we are in mastermind groups with the world’s best marketers. We discuss strategy, and whats working. Here is just an example of how we can rank your landscaping company. We have achieved many positions on Page 1 against the competition. We can do the same for your business! Below is an example of a client who wanted to rank for the most difficult term on the South Shore of Massachusetts. We achieved number one in maps and organically. This brought them at last count 604 web submissions for a free estimate in one years time. One key piece of a Landscaping SEO strategy is having a great landscaping website that converts visitors into customers, however, you could have the best landscaping website in the world and it will be useless if potential customers who search for your services can’t find it. That’s where All Business Technologies can put in place our cutting-edge search engine optimization techniques to bring more visitors to your website and more customers into your business. As an All Business Technologies client, you will also have exclusivity. We only offer landscaping SEO services to one business in each geographical location. Our focus is making you the top business in your target market by dominating Google search. SEO for landscapers in comparison to SEO for another industries website is very similar in theory but can be much different in practice and technique. One of the biggest differences between a landscaping SEO expert and a generalized SEO company is the niche specific split testing. 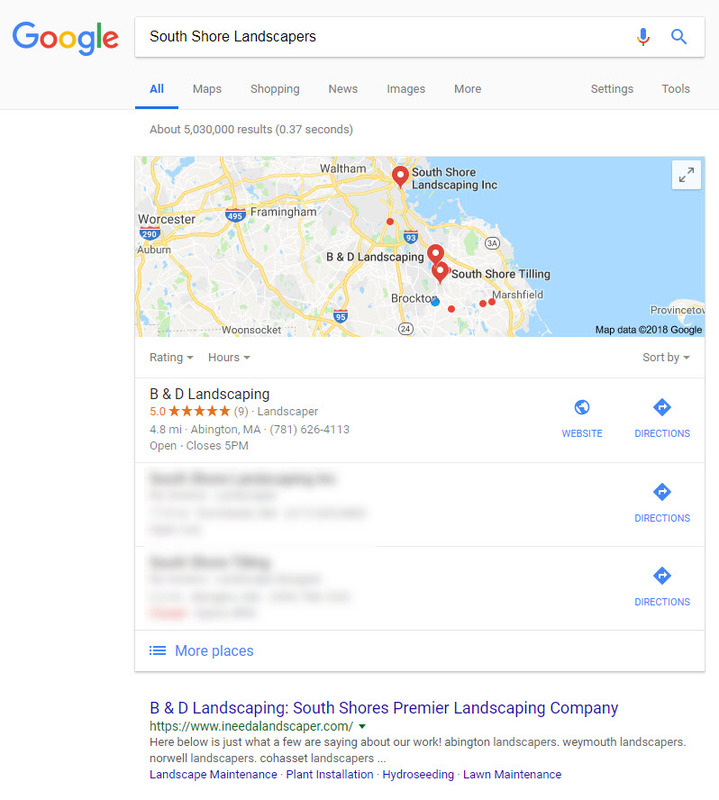 A landscaping SEO expert will also understand better the psychology as well as keywords regarding how potential customers will search for a landscaping company on Google. This allows for the best content geared towards what your potential customers are looking for in a landscaping website. This also allows for cutting edge industry specific techniques to be put in place to take your business to the top. Landscaping search engine optimization is a combination of techniques being performed both on your website which is referred to on page SEO as well as off your website on other digital properties which is known as off page SEO. These services will improve your websites ranking on Google, Bing, and Yahoo driving more visitors to your website and more customers through the door. We specialize in SEO for landscapers and like companies. If your business is ready to grow, hiring a Landscaping SEO Expert who is familiar with landscape marketing is the best way to bring new customers through the door long term. Other agencies work with many different industries and only use generic search engine optimization strategies among the many different markets they shift to day to day. At All Business Technologies, we focus on working with landscaping companies to bring them the best possible results. Ready To Partner With A Landscaping SEO Agency That Gets Results? Hello, my name is David McNaught and I am the President of All Business Technologies. Here at All Business Technologies, we would love the opportunity to earn your business and help give your landscaping company the online exposure it deserves to help you grow your revenue. If you are looking to grow your online presence, drive more customers to your website, and grow your revenue, you have come to the right place. We have grown our businesses substantially utilizing the same digital marketing techniques and strategies we use for our clients. We can use this repeatable process and apply it toward the goal of taking your business to the top. If you have heard enough and are ready to partner with All Business Technologies please click the Let’s Grow My Business button below and fill out some basic information about your company. Don’t worry; it is simple and will only take a few minutes of your time and will allow us to understand your business much better. It will let us know what you are offering and give us an idea of what you want to accomplish. With this information, All Business Technologies will be able to deliver you a custom plan geared towards growing your revenues and taking your business to the top. Thank you for visiting All Business Technologies, and we look forward to talking to you soon.